Have you guys read J. Scott Savage? Because you should. 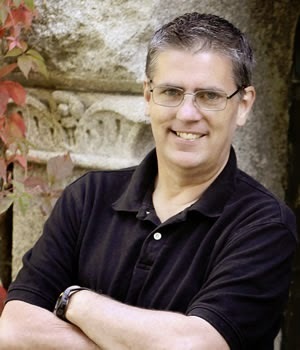 He's got some great books for kids--author of the Farworld middle grade fantasy series and the Case File 13 middle grade monster series. He's actually been writing and publishing books for over ten years. 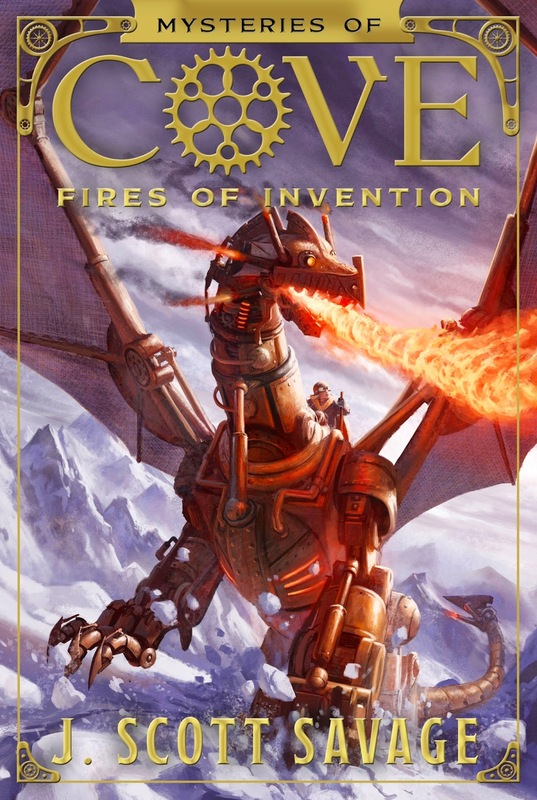 "Like many of my books, the inspiration for my new series, Fires of Invention, came from the collision of two ideas. The first time the story occurred to me was while I was watching the musical Wicked with my wife. The moment I walked into the theater and saw the huge mechanical dragon above the stage, I thought, Wow! I have to write a story about that! A few weeks later, I was talking with my nephew, who is probably the most creative kid I know, but whose inventiveness often gets him into trouble, and I thought, What if a kid who had the talents of my nephew lived in a world where creativity was against the law? What if the kids were building . . . a steam-powered dragon? Bam! I had my story. "Powered by great feedback from my agent, Michael Bourret, my good friend and author James Dashner, my publisher, Chris Schoebinger, and the song “Warriors” by Imagine Dragons, I wrote the entire first draft of the first volume in the series, Mysteries of Cove, in four weeks. This book is unlike anything I have ever written. There are elements of City of Ember, Dragon Riders, and Hugo in it all mashed up together in a world I fell in love with from the moment I started writing. "I think what’s most exciting to me about this book is that it’s about giving yourself the freedom to imagine. To take chances. Too often we limit ourselves by only trying things we’re confident we can succeed at when what we need to do is give ourselves permission to fail. Often it is when we attempt things with no idea of how we can possibly pull them off that we achieve our greatest successes." Doesn't that just pique your interest?? Well just check out the cover! "STEAMPUNK! Plus Dragons! Trenton Colman is a creative thirteen-year-old boy with a knack for all things mechanical. But his talents are viewed with suspicion in Cove, a steam-powered city built inside a mountain. In Cove, creativity is a crime and 'invention' is a curse word. Kallista Babbage is a repair technician and daughter of the notorious Leo Babbage, whose father died in an explosion--an event the leaders of Cove point to as an example of the danger of creativity. "Working together, Trenton and Kallista learn that Leo Babbage was developing a secret project before he perished. Following clues he left behind, they begin to assemble a strange machine that is unlikely anything they've ever seen before. They soon discover that what they are building may threaten every truth their city is founded on--and quite possibly their very lives." Hmm. I bet I can guess what they're building!! And it looks pretty awesome there on the cover! So, I don't know about you, but I'm gonna keep my eye out for this one, due to come out this fall.